U Mobile Sdn Bhd has partnered with four popular regional and local digital publishers - SPH Magazines, Pubu eBook, FullAMark and NovelPlus - to launch booKu. The first-of-its kind service in Malaysia, booKu enables U Mobile subscribers to purchase e-books and e-magazines from noted publishers, such as SPH Magazines, Pubu eBook, FullAMark and NovelPlus even if they do not own a credit card. U Mobile’s prepaid subscribers will have their e-book and e-magazine purchases deducted from their mobile credit, while post-paid subscribers will be charged through their monthly bills. 1. Go to App Store or Google Play Store and search for booKu partners’ apps - SPH Magazines, Pubu eBook, FullAMark and NovelPlus. 2. Download your preferred digital publishers’ apps. 3. Once the app has been downloaded, connect to U Mobile network (3G/4G) to sign up for the service. 4. A code will be sent to you via SMS or email. Key this in as you complete the subscriber sign-up process. 5. Browse available titles on the app and select your favourite reads. First timers will get to enjoy exclusive promotions for a limited period of time. Visit http://u.com.my/booKu to find out more. 6. You are now ready to purchase e-books by using your U Mobile prepaid credit or have your purchases charged to your monthly bill. *Sign up processes by the various publishers may differ from one another. This sounds new and innovative. 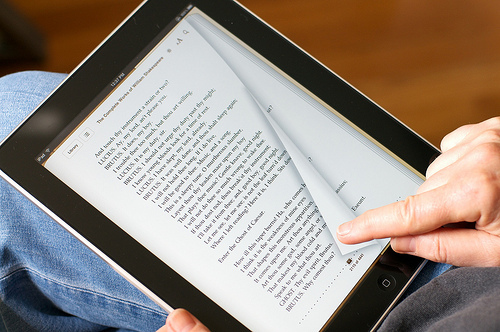 It gives a lot of convenience to all the e-book lovers out there.